Brian Martin received his MD in 1990 from the Medical Faculty of the University of Basel and his Master of Public Health in 1996 from the Harvard School of Public Health. 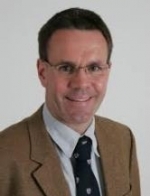 He is a specialist in Prevention and Public Health FMH (Swiss Medical Association) and holds the Certificate of the Swiss Society for Sports Medicine SSSM. Since 2014, he is Chief Medical Officer of the canton of Basel-Country in Switzerland. He continues to work at the Epidemiology, Biostatistics and Prevention Institute EBPI of the University of Zurich. From 2005 to 2009, Brian Martin was the Chairman of HEPA Europe, the European Network for the Promotion of Health-Enhancing Physical Activity, from 2010 to 2014, the Chairman of Agita Mundo, the global network for physical activity promotion. 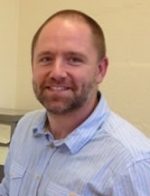 Brian Martin’s main research interests are population-based interventions for physical activity promotion as well as approaches to prevention and health promotion in health care. This includes studies on patterns and determinants of health behaviour, the effectiveness of approaches and interventions as well as the development and implementation of strategies and policies. 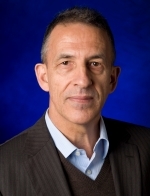 Dr. Esliger has world leading expertise in his field, and has already published over 50 manuscripts (H-Index 17) and been involved in numerous research and enterprise collaborations attracting funding exceeding £2.5M. As the founder of the Physical Activity and Public Health Research Group, he is currently supervising 9 PhD students and 1 postdoc. Dr. Esliger has been the lead consultant for national surveys and international consortia that have used objective sensors (Health Survey for England, Framingham Heart Study, Canadian Health Measures Survey, International Children’s Accelerometry Database) and has collaborated in the development of several novel measurement devices. Dr. Esliger’s research focuses on enhancing the accelerometry based measurement of physical activity and sedentary behaviour. Recent incorporation of non-invasive, continuous physiological sensing into their workflows has allowed more sophisticated physical activity and sedentary behavior measurement methodologies/technologies to advance their understanding of the interplay between physical activity, sedentary behavior, and health. Professor Andrew Hills was appointed to his new role at the School of Health Science – University of Tasmania in 2016 having been Professor of Allied Health Research, Mater Research Institute – University of Queensland since 2011. Previously he was Professor of Energy Metabolism at Queensland University of Technology. Prof. Hills is a past Co-Director of the Australasian Child and Adolescent Obesity Research Network (ACAORN) and a former President of the Australia and New Zealand Obesity Society (ANZOS). He has completed numerous research consultancies with the International Atomic Energy Agency (IAEA), World Health Organization (WHO), and International Olympic Committee (IOC), and advised governments and health systems in many jurisdictions. Prof. Hills has published over 230 peer-reviewed papers and reviews, 28 book chapters, and authored or edited 10 books. Andrew is a Fellow of Sports Medicine Australia and an Accredited Exercise Physiologist (AEP). Prof. Hills is a world-leading clinician, researcher and advocate in public health having primary research interests in physical activity and health, particularly the prevention and management of obesity and related conditions. He has made major global contributions in the obesity field, including the assessment of body composition and energy expenditure using stable isotope techniques.